This stunning one-seater sofa has a brilliant visual style and the Crushed Velvet upholstery has a beautiful two-tone look. The curved design has an inviting and relaxing style. The small size ensures this chair can fit within any room design. Two-Seater Sofa to relax with a loved one. 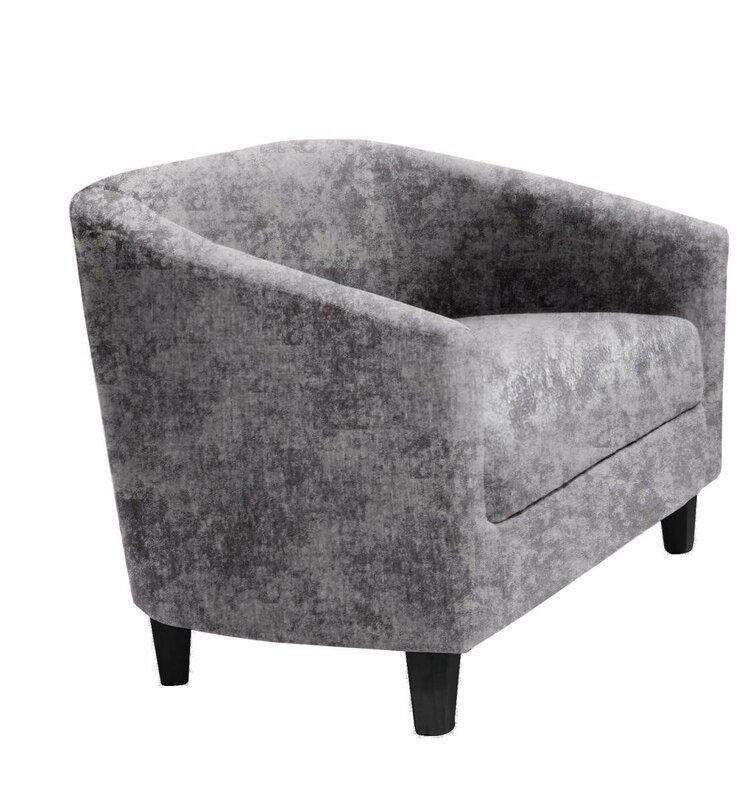 Also available in One- and Three-Seater designs to share with others and for any sized room.